What Does Drinking Locally Really Mean? The locavore movement has exploded over the last few years. Folks are really interested in eating food that is grown and cooked locally. It harkens back to the days when folks grew a lot of the food they ate. With all of this interest in local food, why not local drink? Well, there has been more interest in locally produced beer and now locally produced spirits. Local wine is starting to take off too, but is more difficult to find outside of the local winery. Let’s take a look at wine specifically and talk about what it means to drink local wine. Local wine is more than just wine produced by a local winery. Truly local wine is wine that is fermented, aged and bottled at a local winery, but it is also wine that is made only from local grapes, fruit, or honey. These grapes should come from vines that are planted in North Carolina soil. The fruit should come from North Carolina trees, bushes, etc. The honey should come from a local bee hive. Let’s be clear, a true North Carolina wine is made from a North Carolina product. This means that wineries that produce wine from grapes, fruit, juice, or honey from California, South America, and/or Europe are NOT making local wine. They’re making wine locally, but it’s not a North Carolina wine and can’t legally be labeled as such. Think about that the next time you visit a local winery. Ask where the grapes, fruit, or honey originated. Look at the label. Is it labeled accurately? Inquire as to why local grapes, fruits, or honey weren’t used. The “North Carolina doesn’t produce quality grapes” line no longer holds water. The same goes for fruit or honey. Drinkers of truly local North Carolina wine know better! Let’s be sure our voices are heard. We must insist that local wine bars and local restaurants sell locally grown and made North Carolina wine. Farm to Fork restaurants and the like who aspire to serve food made from locally grown ingredients are quite hypocritical if they don’t have locally made wine on their menus. The same would be said for locally made beer and spirits. Let’s do our parts to help promote truly locally made wine. Remember the costumer is always right! Finally, it’s ok to drink something other than locally made wine. However, let’s be sure we do know the difference between a local wine and not. 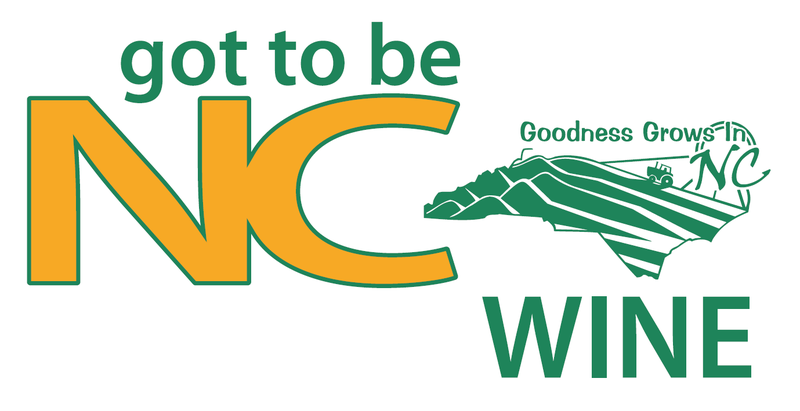 And be sure that we don’t use the #NCWine and #NCFineWines to promote a wine that’s not truly local. Just remember, drinking locally helps the local economy, which in turn helps you! Let us know what drinking locally means to you! Cheers!